Originally this little box help Ceylon Tea but now it could be used as a pretty decorative piece to hold jewelry, rings, etc. Light blue with lady and scene on the front in green on white. Lot remark(s) : No remarks. CELA SIGNIFIE donc que vous pouvez trouver For this lot. En cas de contestation, le texte en français est prépondérant et en cas de litiges, seuls les tribunaux de Liège sont compétents. Sri Lanka 2018 - Traditional Sinhalese Exorcism Ritual - Daha-ata-Sanniya Set MNH. A nice & rare Selection of 24 diff. MNH : Mint never hinged ( ) : Mint not original gum MH : Mint hingedUsed : canceled ( ) : Mint no gum. Pas d'exception. F/VF : Fine/Very fine : stamp in good quality and very fine apperence but with faults (thin(s), fold(s), etc). 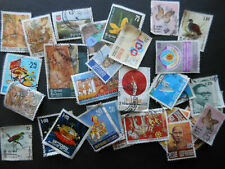 Nice group of Ceylon issues most MNH. Most of the lighthouses in Sri Lanka were built during the British rule of the country (then known as Ceylon). These were operated and maintained by the Imperial Lighthouse Service. There are twenty five lighthouses in Sri Lanka, with sixteen of those being still active. Set into the paper background. Denominations of. 25. 50 5.00 and 10.00. July 14, 1993. Face value on Stamp. 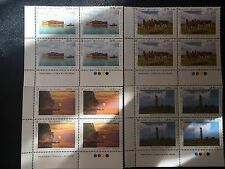 Ceylon Postage stamps big lot of early collection.Used. Ceylon, Sc #378a, MNH, 1964, S/S, Birds. Ceylon 1967,S/S Ceylon Birds ,Scott # 378b,VF MNH (RN-6). Reverse is not shown however it is clean. I see no other significant creases, tears, thins, pulled perfs or other disturbance. Of Saint Louis. make Supersized seem small. Get images that. And we're human. So we make mistakes. We tried. We stand by our material. We're 2 retired collectors who do this for fun. We don't make any profit on this, but we can't afford to lose money either. #693 Birds 1v Imperf Proof Block of 4 (d70)(d4621)(tsh). Sri Lanka Mint & NH. (R​ O) 1998 SRI LANKA, ELEPHANT-ELEPHAS MAXIMUS CEYLONENSIS-WADING IN LAKE-FEMALE CALF-THREE STADING IN PLAINS-LARGE BULL, MNH. We tried. We stand by our material. We encourage you to join too. AFDCD dot org is another great resource for you cover collectors. We're 2 retired collectors who do this for fun. We don't make any profit on this, but we can't afford to lose money either. SRI LANKA - 691-694 & 877 - MNH - 1983-1988 - BIRDS. Sri Lanka, Scott cat. 722-725. Local Orchids issue. First day cover. CEYLON. 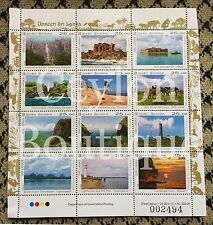 The Ceylon Post Office Guide. Portrait of Queen Victoria. Very good condition, note couple of toning spots in printed info at top of envelope. Very good condition. NUWARA ELIYA. CEYLON 1953. TO WEST BEND WISCONSIN. SRI LANKA - 2017 160th ANNIV. 47 withgreen omitted from 15x10mm area, creating"brown nest" variety, bottom pane (1B) of 100 as usual, note there are teninterpanneau pairs, extraordinary format, only six such sheets found in printer's archive, NH, F-VF. 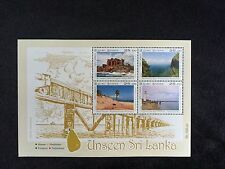 Ceylon (Sri Lanka), 1966, Sc.##374//78, 378a MH. Birds. I am very reasonable and am sure we can work anything out.